From poker dealer to poker player, it didn’t take Fintan long to realise he could make more money on the other side of the table and since then, the man who goes by the moniker ‘EasyWithAces’, has never looked back. 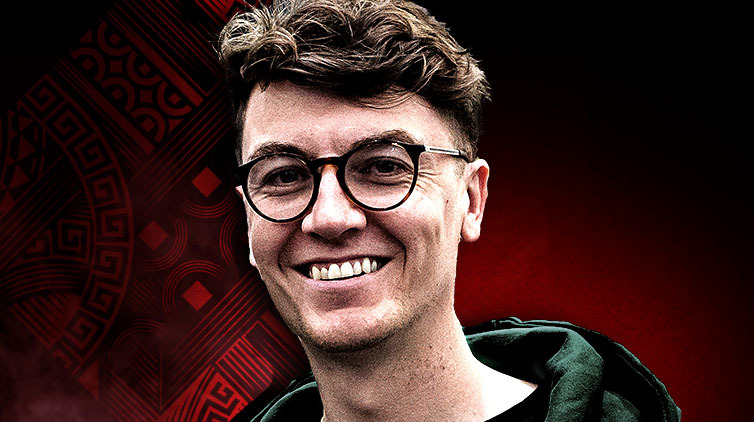 Racking up a huge following on Twitch, reaching the final table of the Irish Open in his home town, and achieving the dream of becoming a Team PokerStars Online player, are just a few of his self-professed career highlights so far. But the man from Dublin has even loftier ambitions and wants to emulate countryman and idol, Conor McGregor, by putting Ireland on the map…in poker at least. The Irishman feels that top poker streamers have the potential to reach 50,000+ viewers, and he wants to be one of the first. Brimming with ideas that make streaming poker more fun and more interactive, he wants to see even more people get involved in the game and sees Twitch as one of the main ways to connect with other poker fans, embracing the community aspect that the streaming service provides. Away from the tables Fintan is an avid sports fan, with soccer and MMA high on his list of likes, and despite not being super creative, he also enjoys the occasional art and photography exhibition (something he gets from his Mom). As much as he’s delighted to be sharing a platform with poker pros who have paved the way before him, he’s just as excited to represent the thousands of players who, like him, play for fun with their friends - so make sure you subscribe to his Twitch channel, ‘EasyWithAces’, to see how it all unfolds!